Alcalthaea Parkallee | Piecemeal Plants Nursery in Leicestershire | a plant nursery providing unusual plants, herbaceous perennials and a selection of annuals. 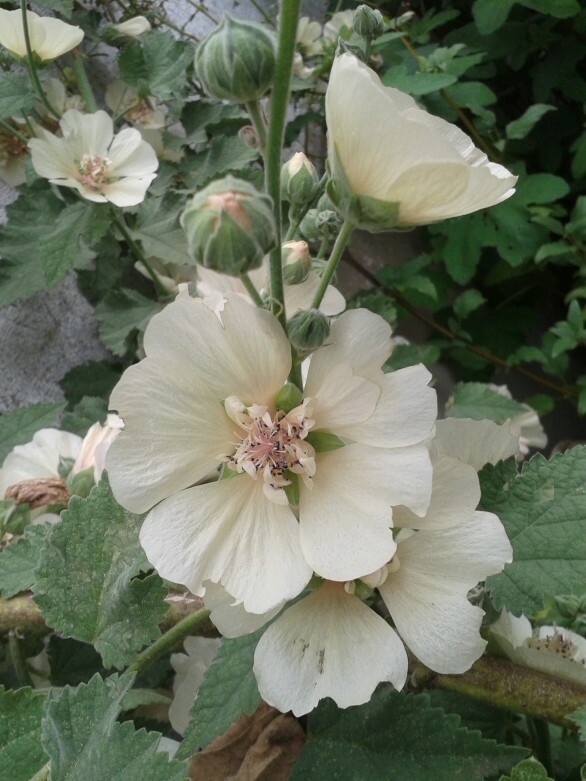 Similar to hollyhocks but no rust! Lovely semi-double pale flowers with maroon stamens. Flowering period: June to November.